We were really excited to be able to fly in April with absolutely clear blue skies. 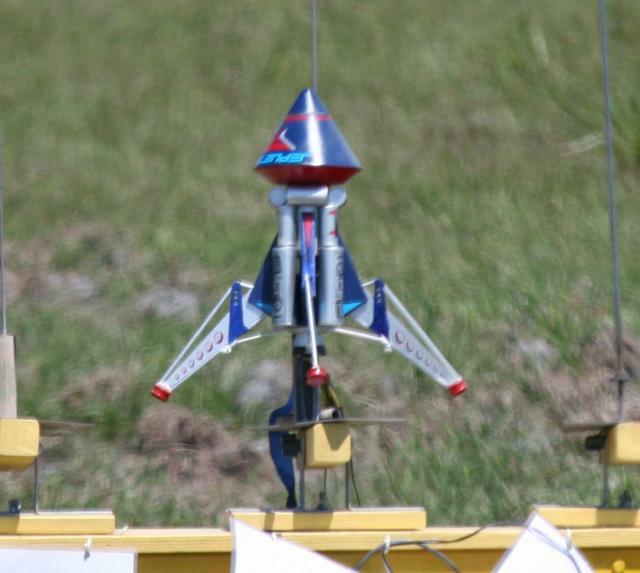 The higher and variable direction winds in the morning caused us to limit our flying to smaller engines, but the afternoon, we were in full swing launching several mid power birds, particularly with three TARC teams present. 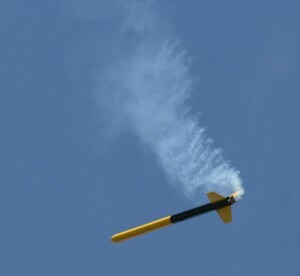 WELCOME to Russ, just settled from up north, Eddy, and Julie (who flew their first scratchbuilt rockets today!) and all from the TARC teams! We’re glad that you came despite the chilly temps! We had a full day of shooting right up to the last rack just past 3:00PM. Tom D’s “lost in the tree but recovered and rebuilt” lawndart started the day, with an almost true to the name separation and airframe core sample. Malcolm B’s. Shuttle Express took the most flights for the day. The Odd Roc theme produced some Egg Spoon variety rockets which gyroed back to earth. We also saw some gliders, saucers and Russ’ flying lampshade. 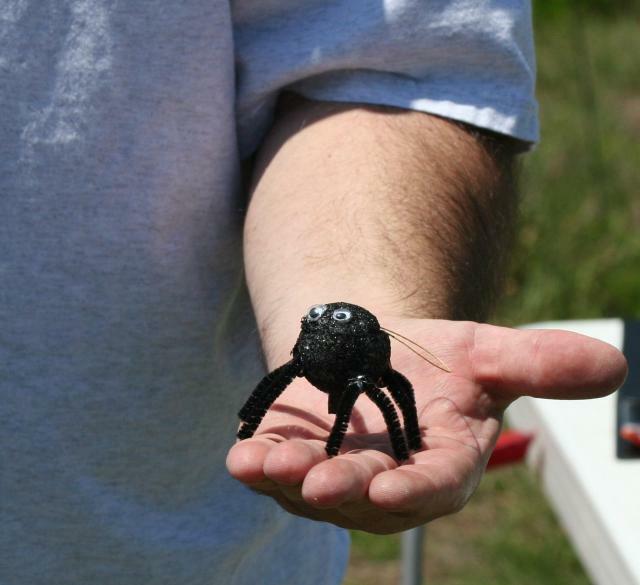 Brian once again made us smile with his microMAXX version of Roger’s Akavish spider rocket. Congrats Brian on the lowest altitude successful flight of the day! 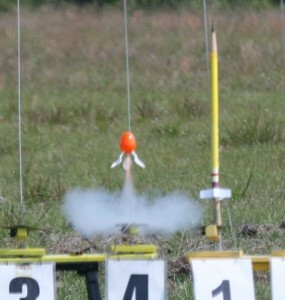 Welcome also to the Howard Middle School and Trinity Prep Team America Rocketry Challenge teams. 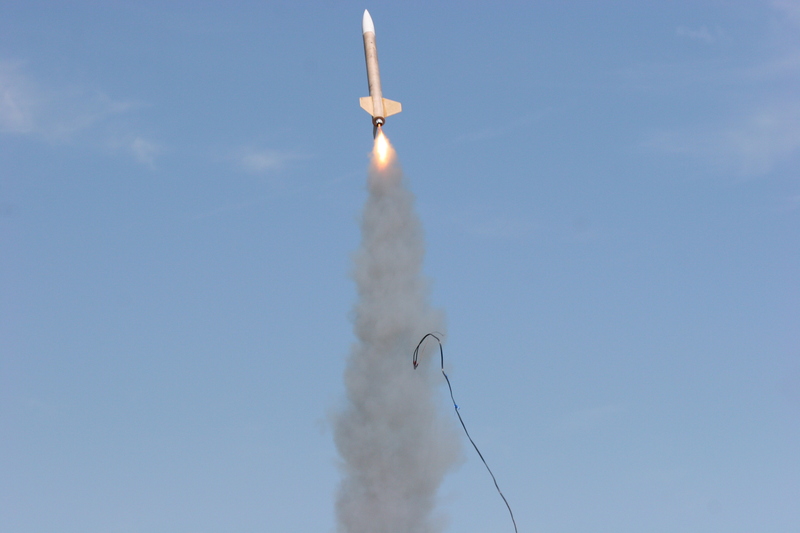 Today as the last opportunity for qualifying flights at our launch was fraught with problems. 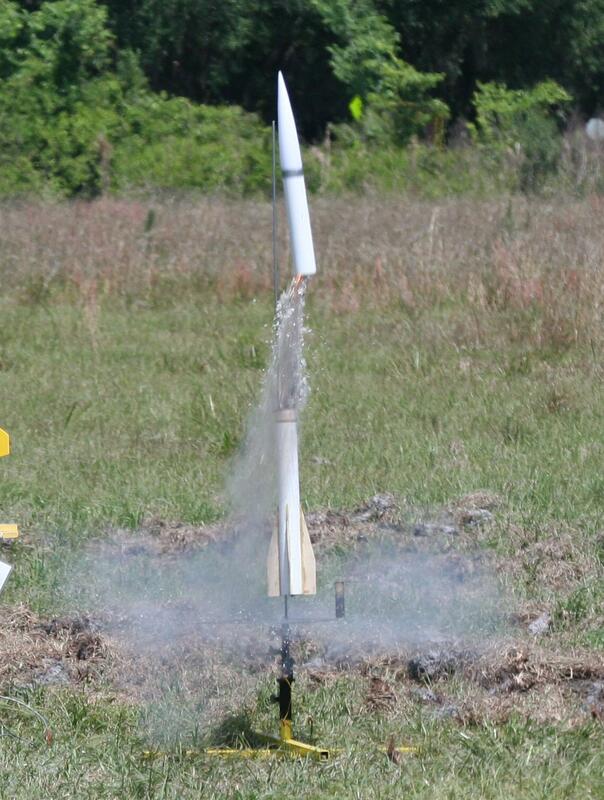 The Howard team had a rough day with several Aerotech E-30 single use motor CATOs on the pad. Another of the rockets CATOed up 20 feet as the motor block let loose and the motor hit the payload bay bulkhead causing an airframe failure and crash. Though that rocket was destroyed, there were no other incidents. Toward the end of the day several further attempts resulted in satisfactory qualifications. Their two egglofters were in for maiden flights and testing. Our best to all the teams and hope to see more of you join us on the field! 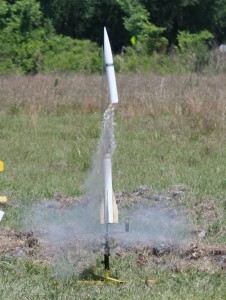 Robb also brought out his Outlander which also sustained minor damage after the Aerotech E21 CATOed on the pad. It seems that we had a bad batch of E motors!. Strange. We could not explain the unusually high volume of casing failures on the single use motors. Chris H also managed to get several of his cluster birds into the air after some attempts resulted in underpowered liftoffs. What a great day for a launch! See you on Saturday, May 3rd. Lot’s of fun! 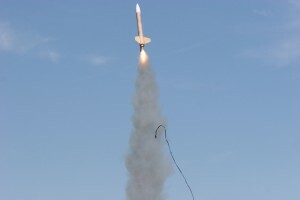 Additional photographs from the April launch are on Roger’s PayloadBay.com web site.